Special Job-Fair-Style Event! Learn everything you need to know about Workamping the Sugar Beet Harvest! This unique, live event is not to be missed. A big first step in the process of learning if this opportunity is right for your future! 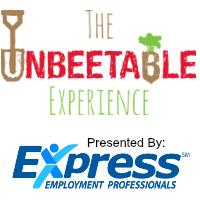 Presented by the Express Employment team, come find out how you can join the team of Workampers at this year's harvest! Attend live to get all the details you need to join the team and ask your questions live!